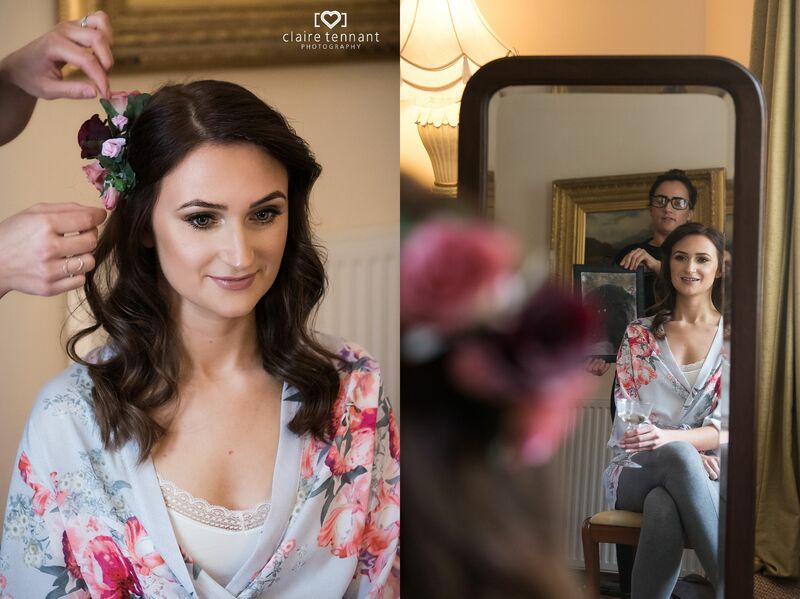 From the moment I met Kirsten and Scott and heard all about their wedding plans, I knew it was going to be an amazing day. 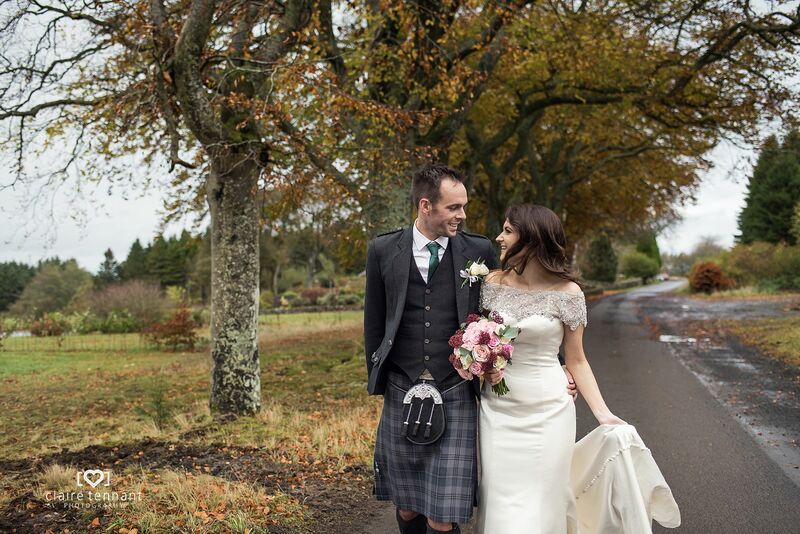 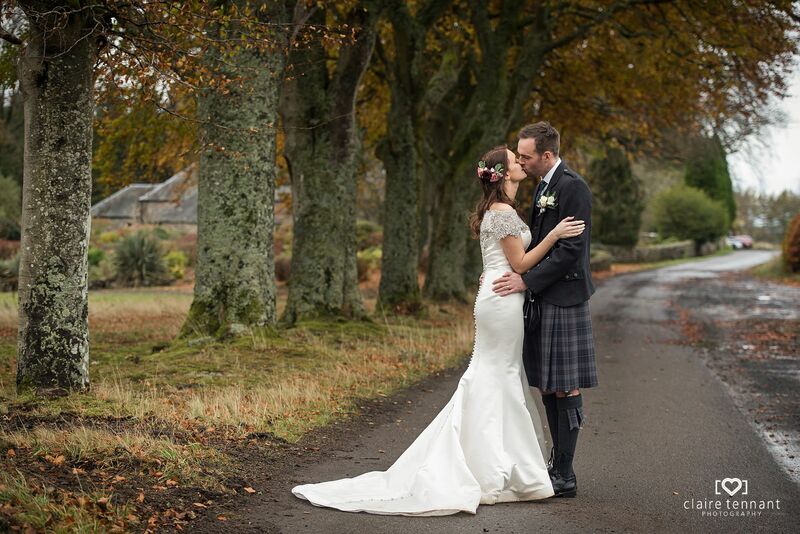 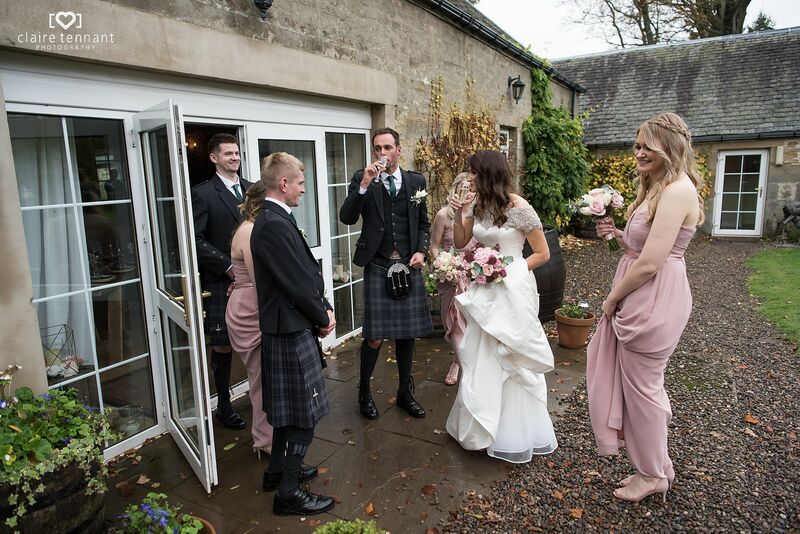 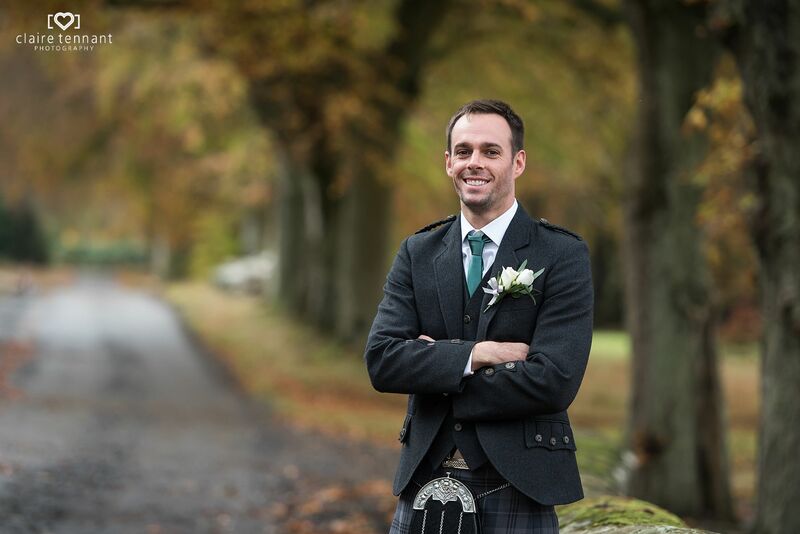 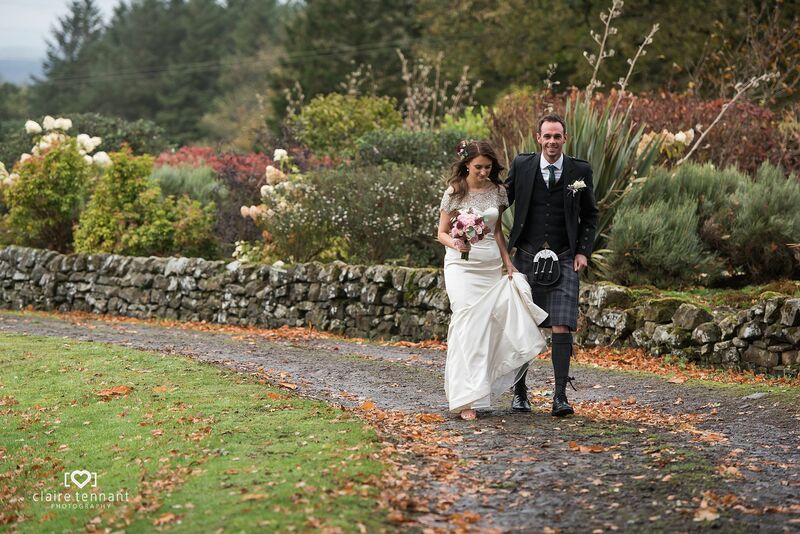 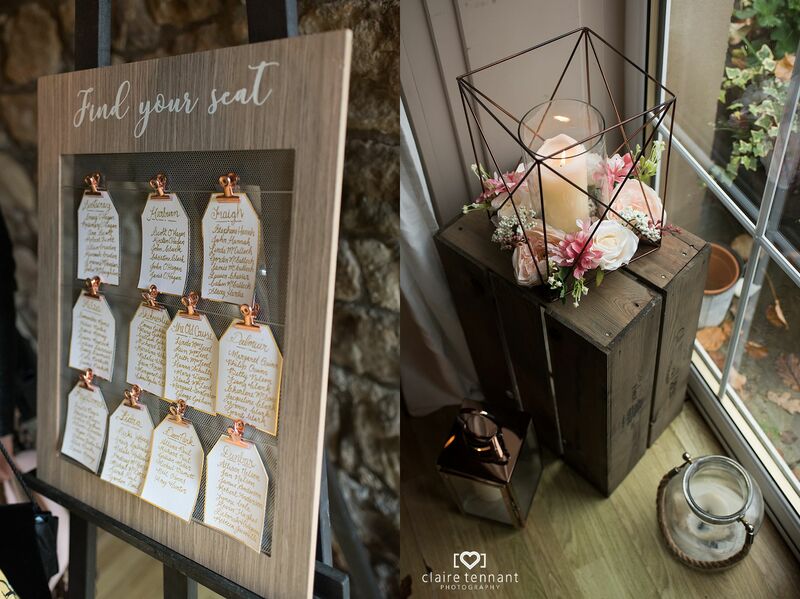 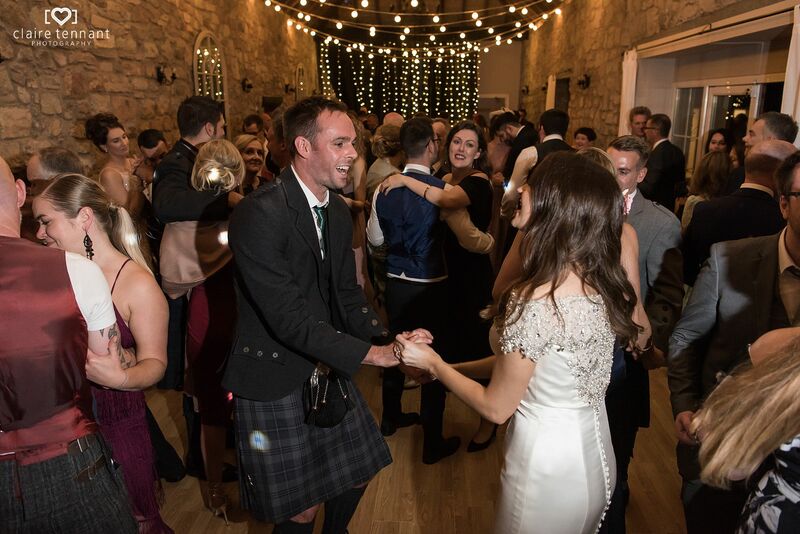 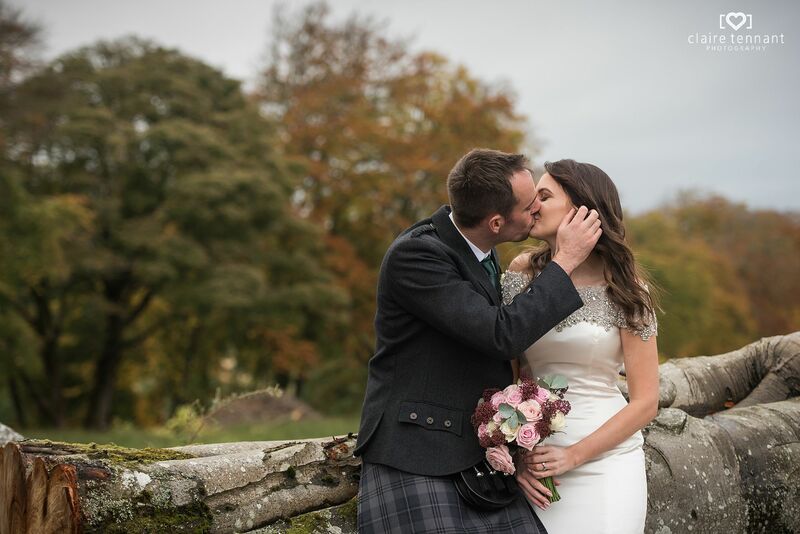 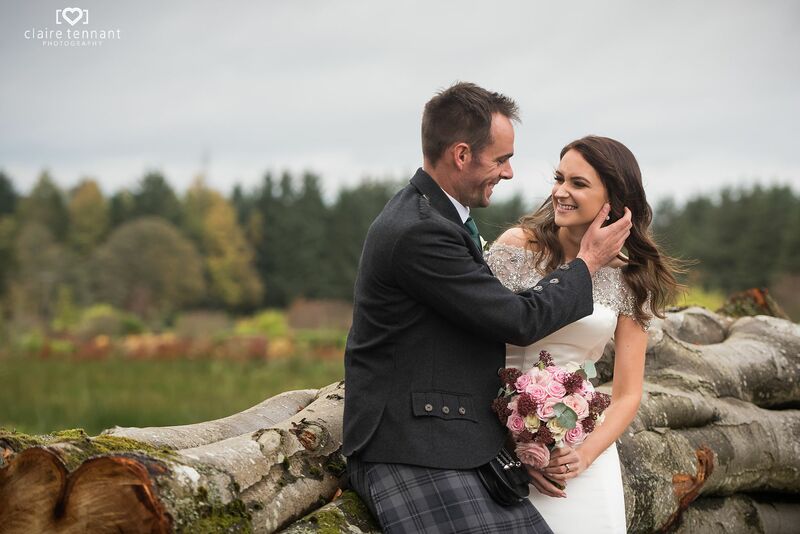 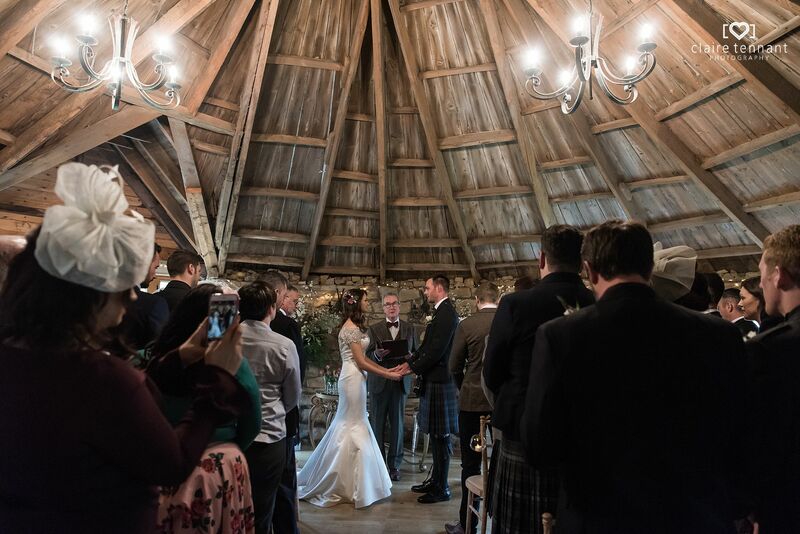 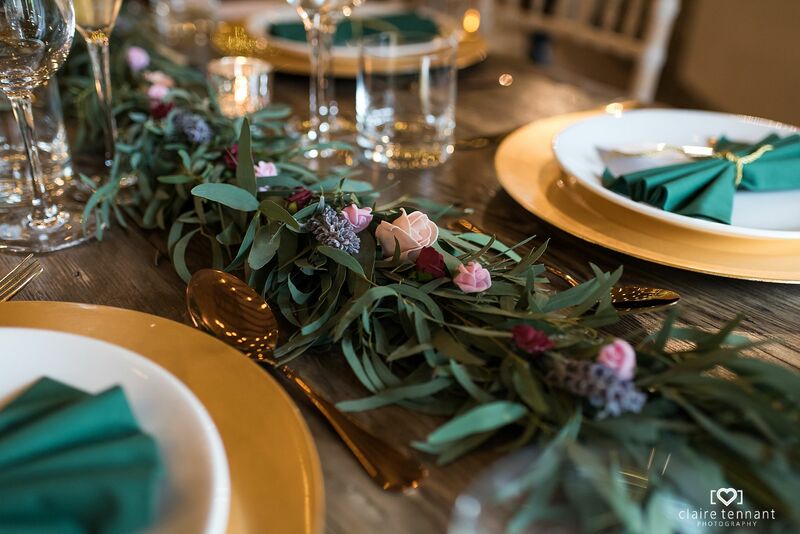 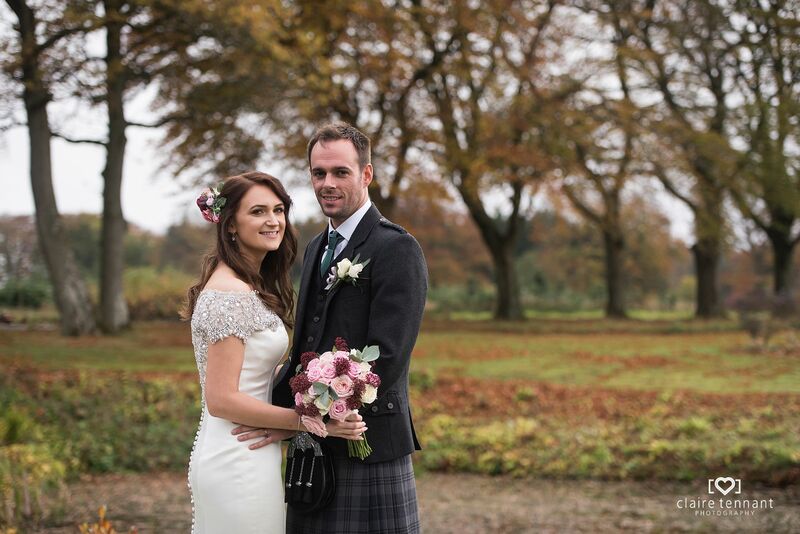 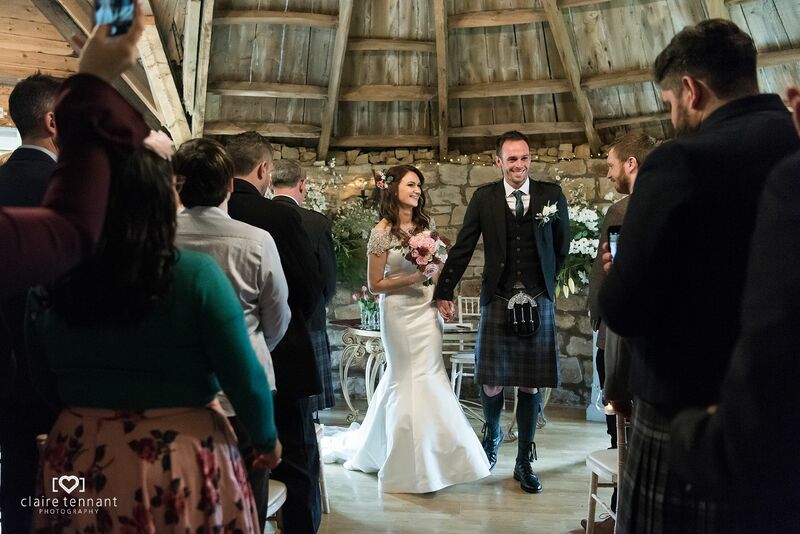 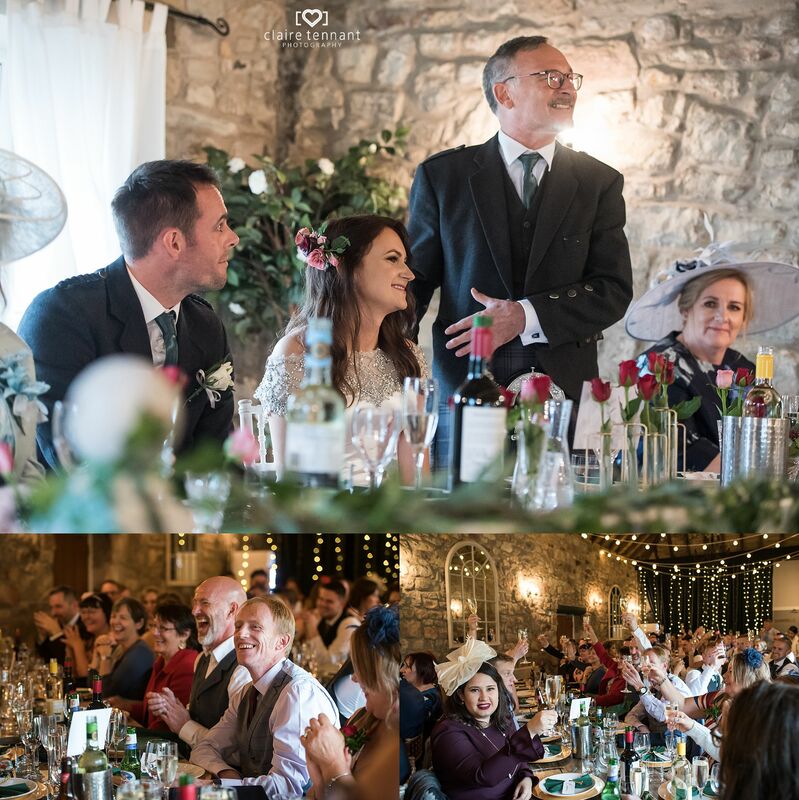 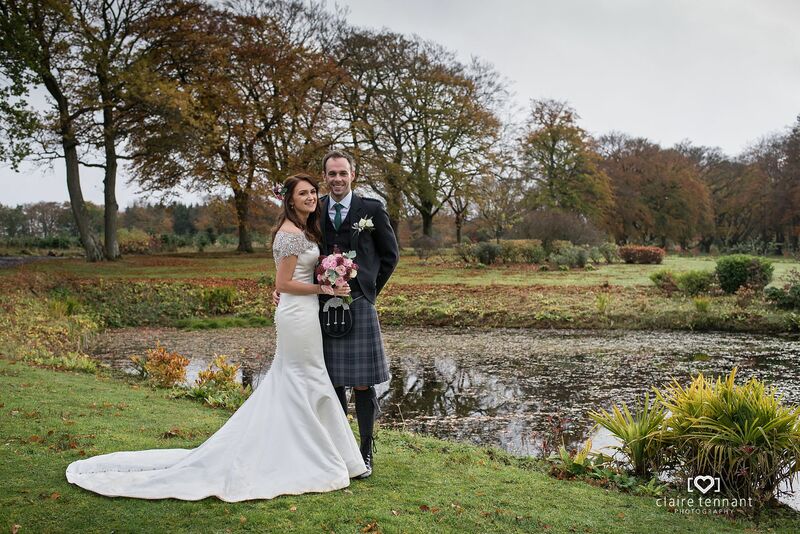 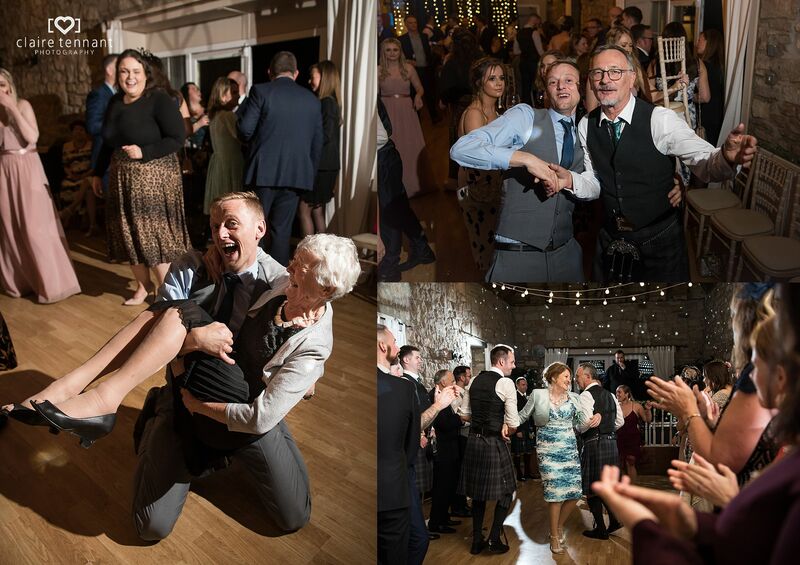 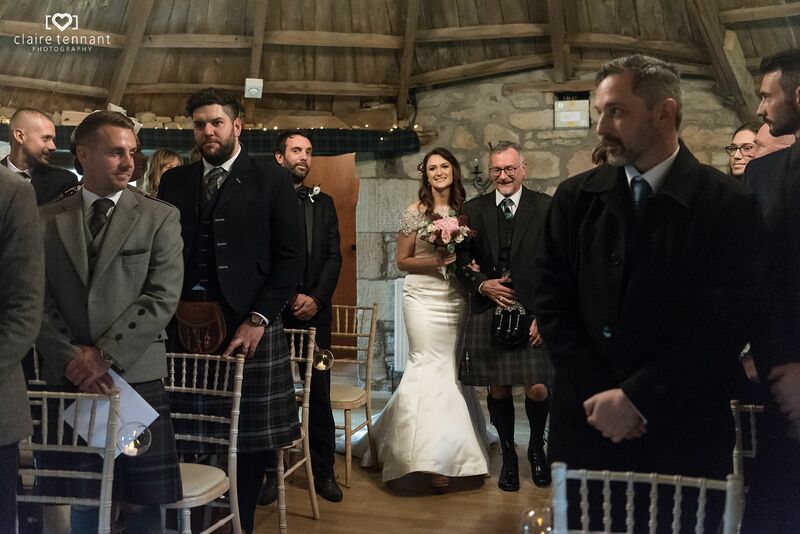 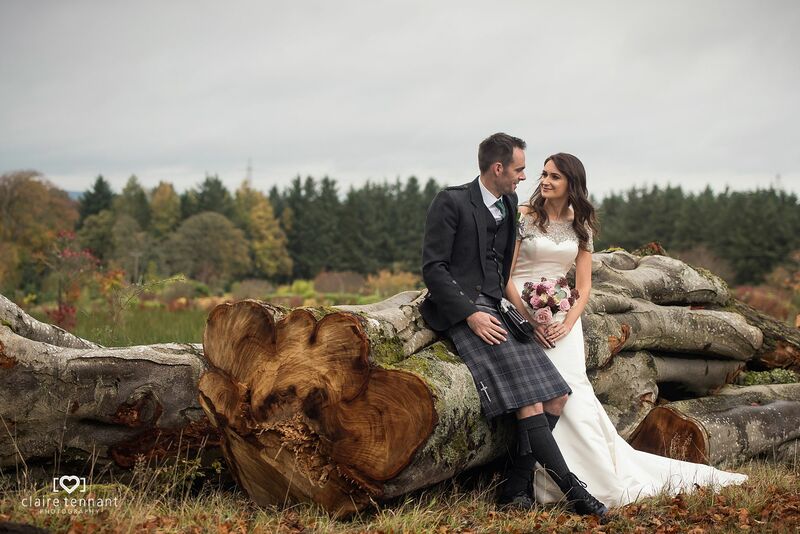 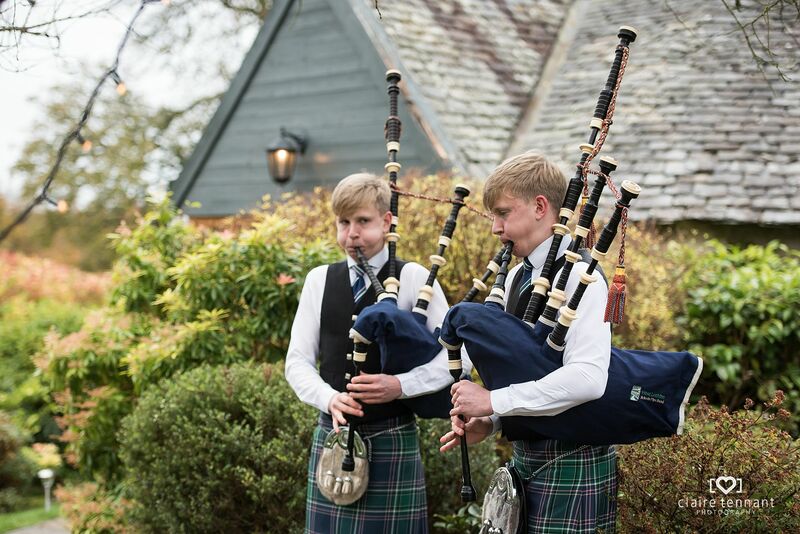 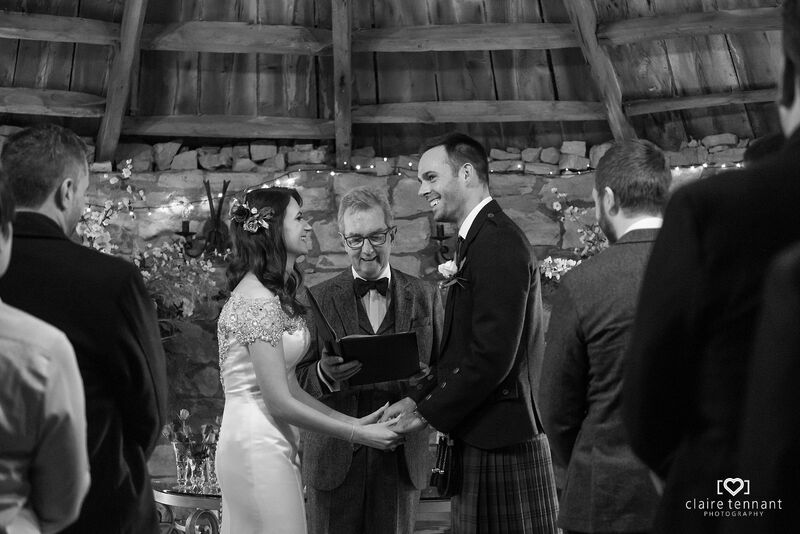 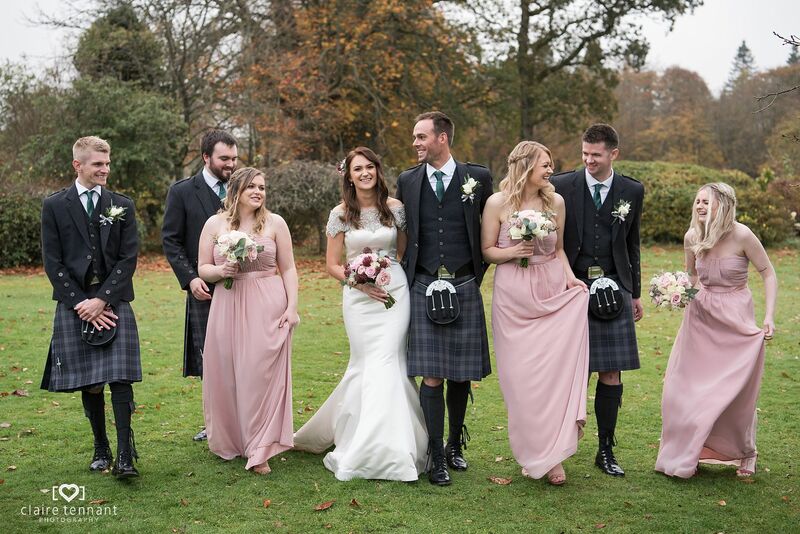 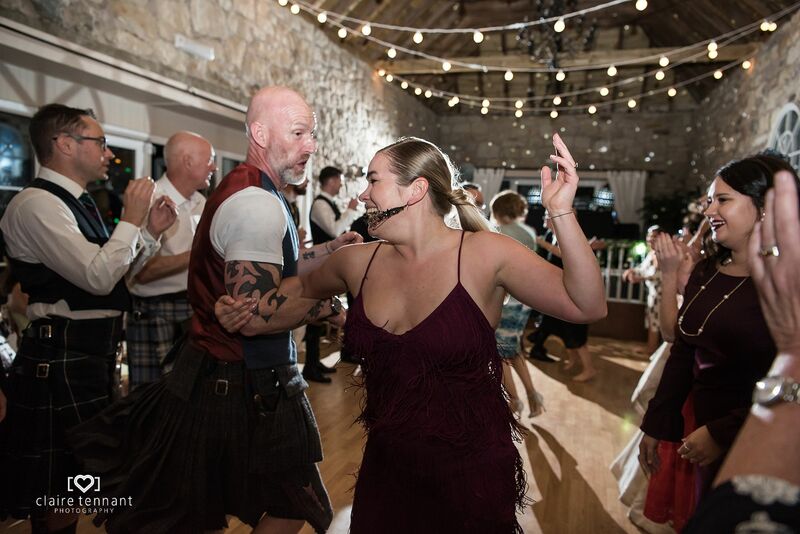 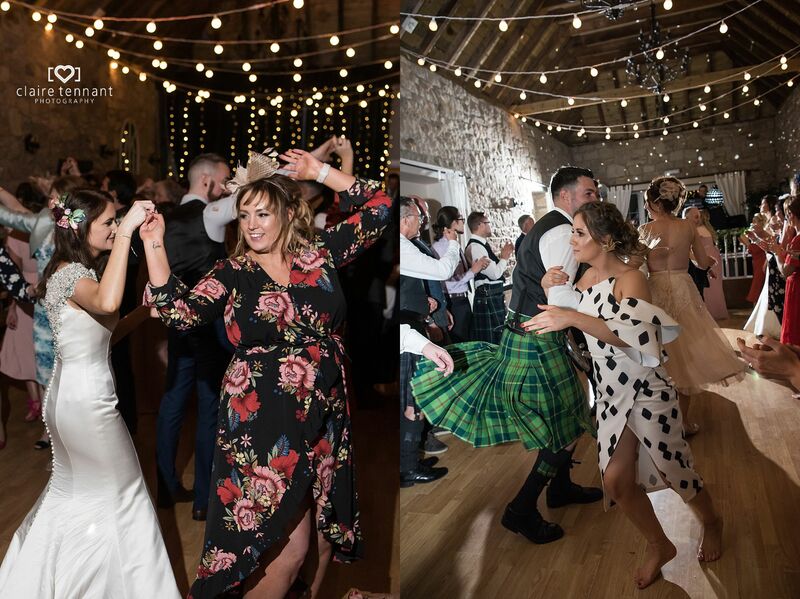 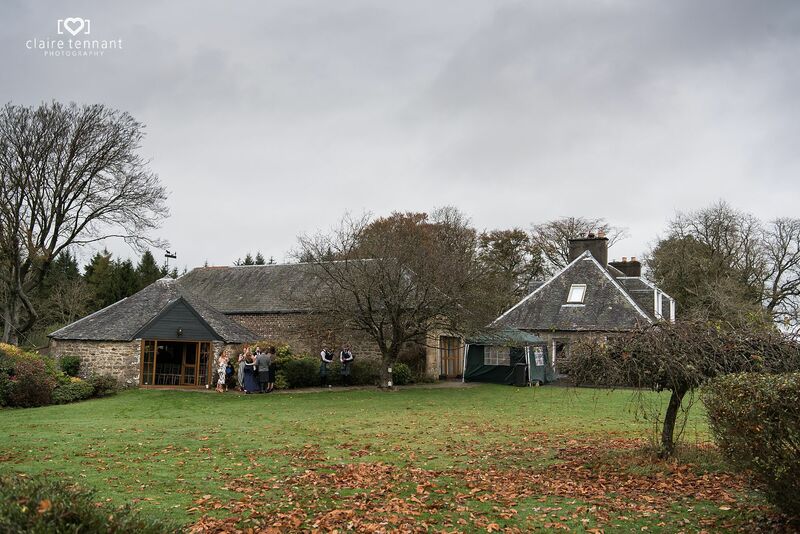 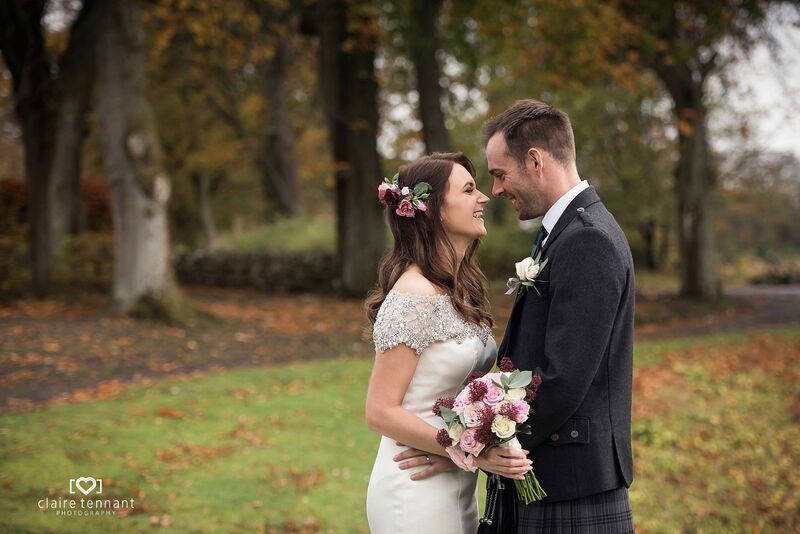 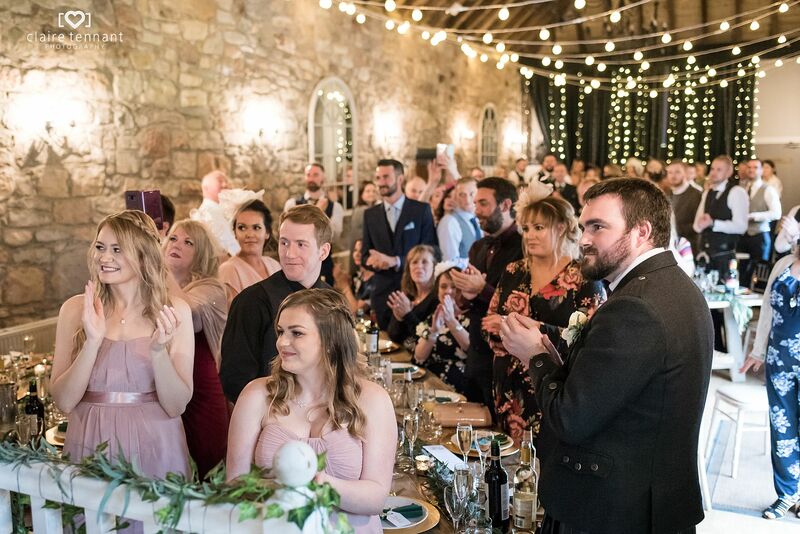 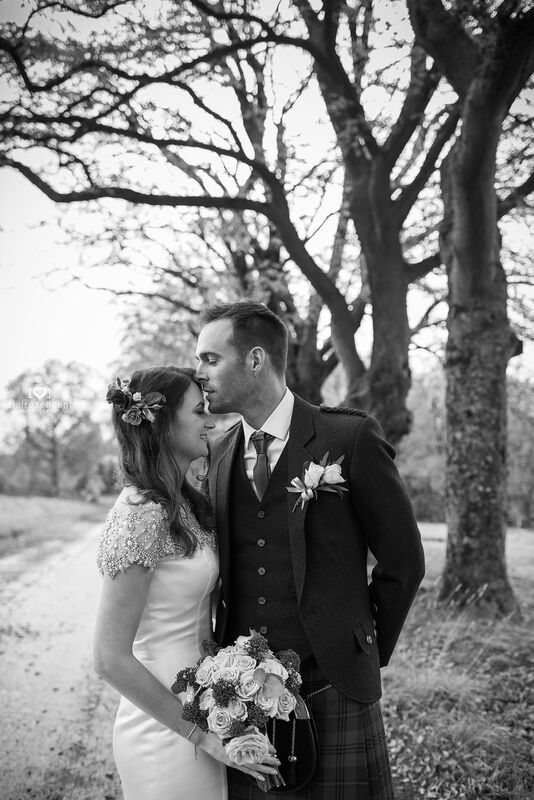 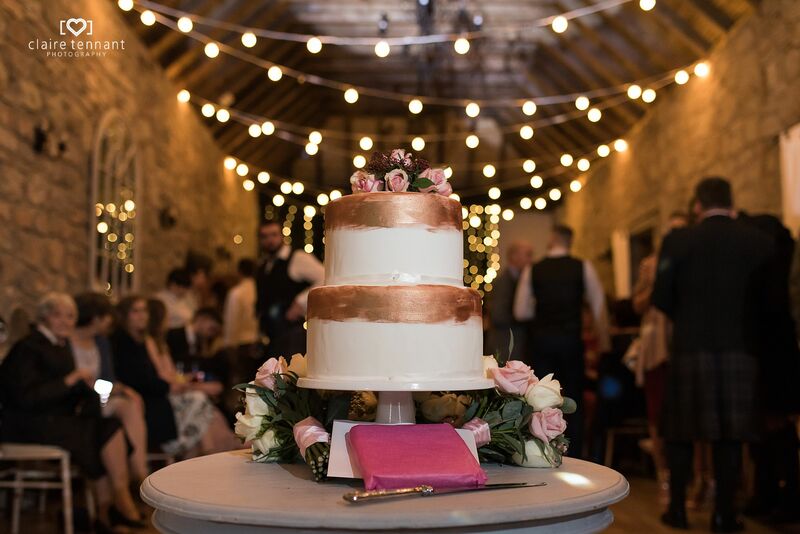 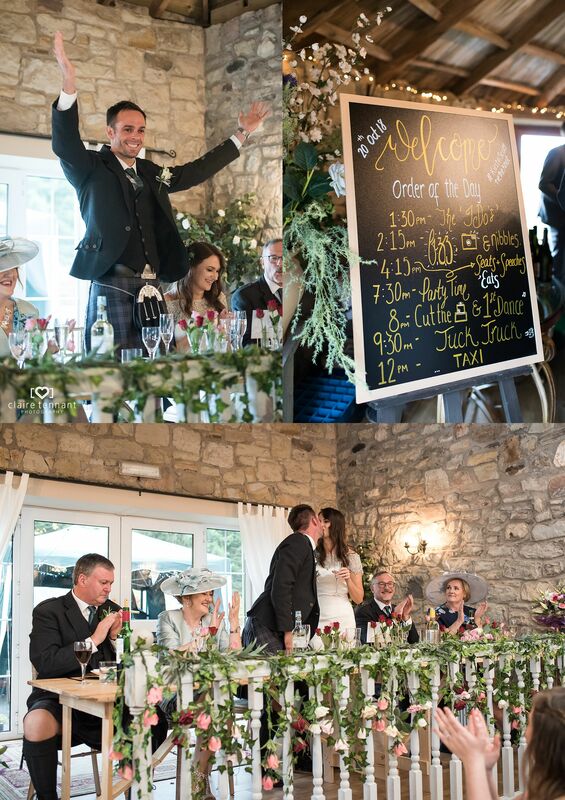 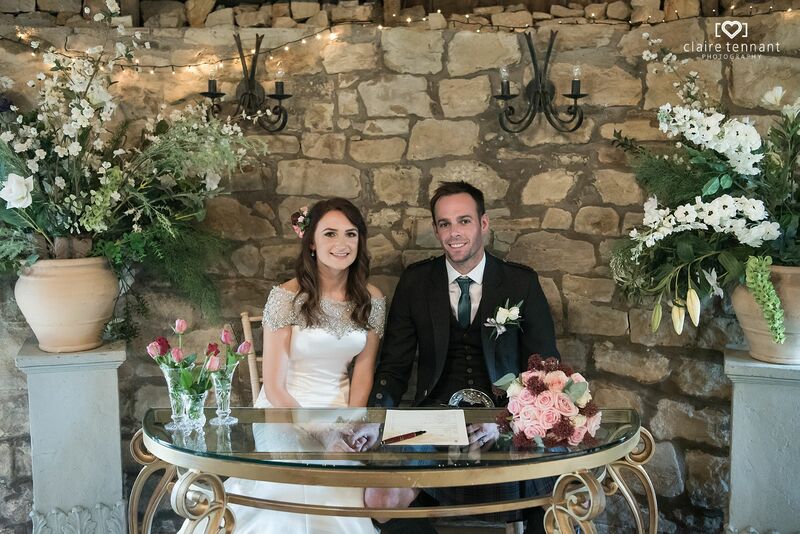 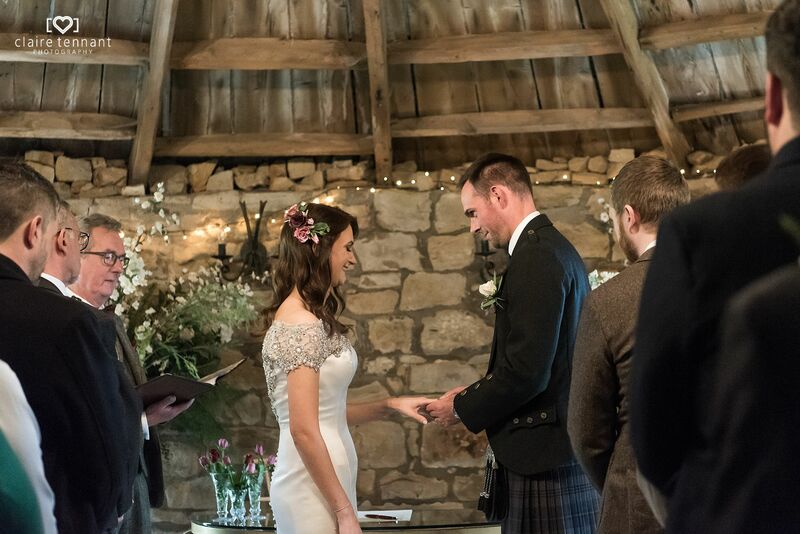 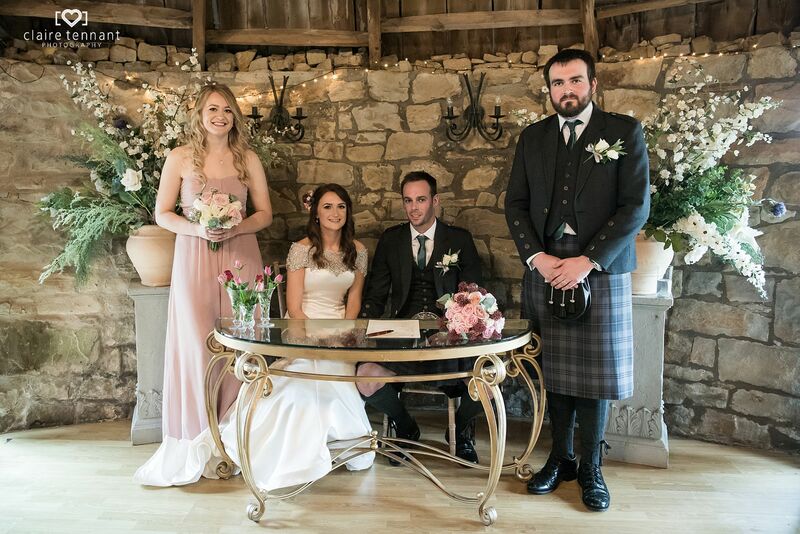 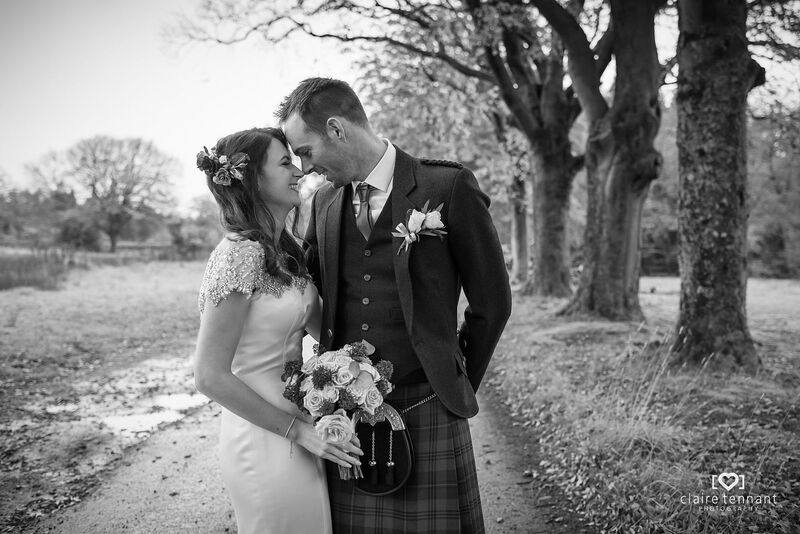 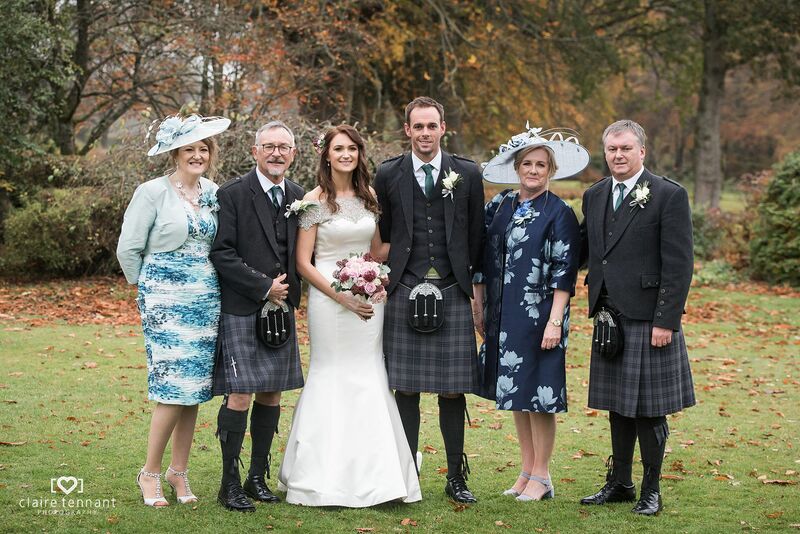 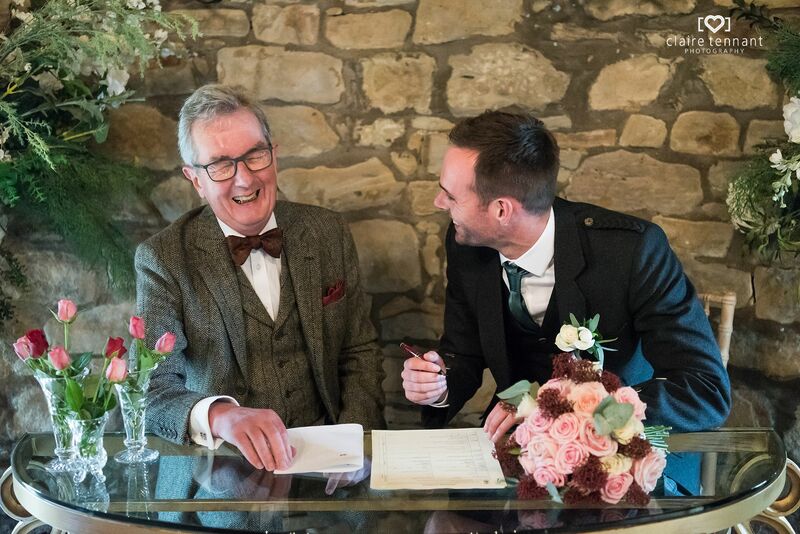 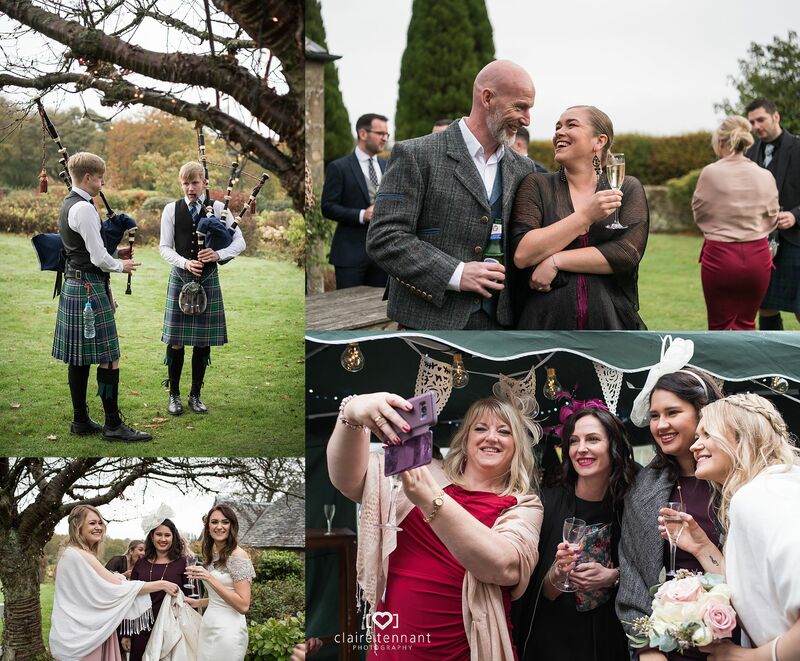 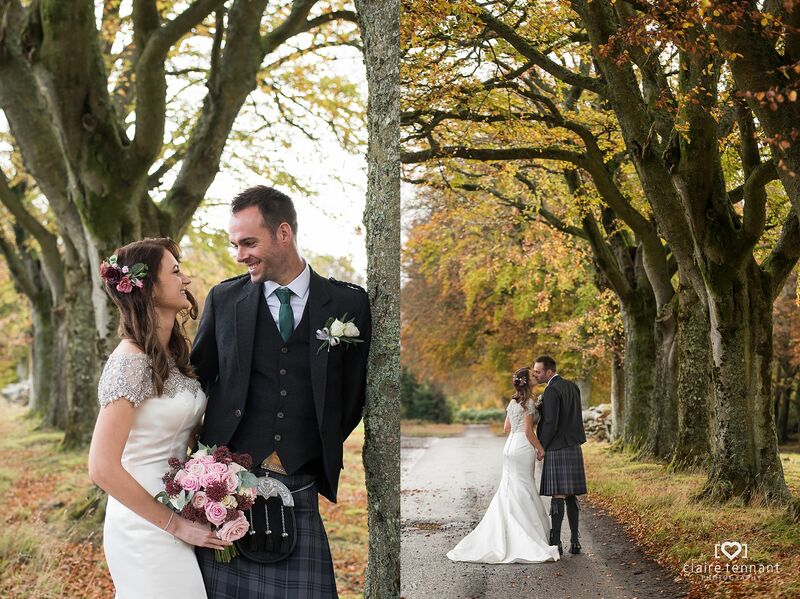 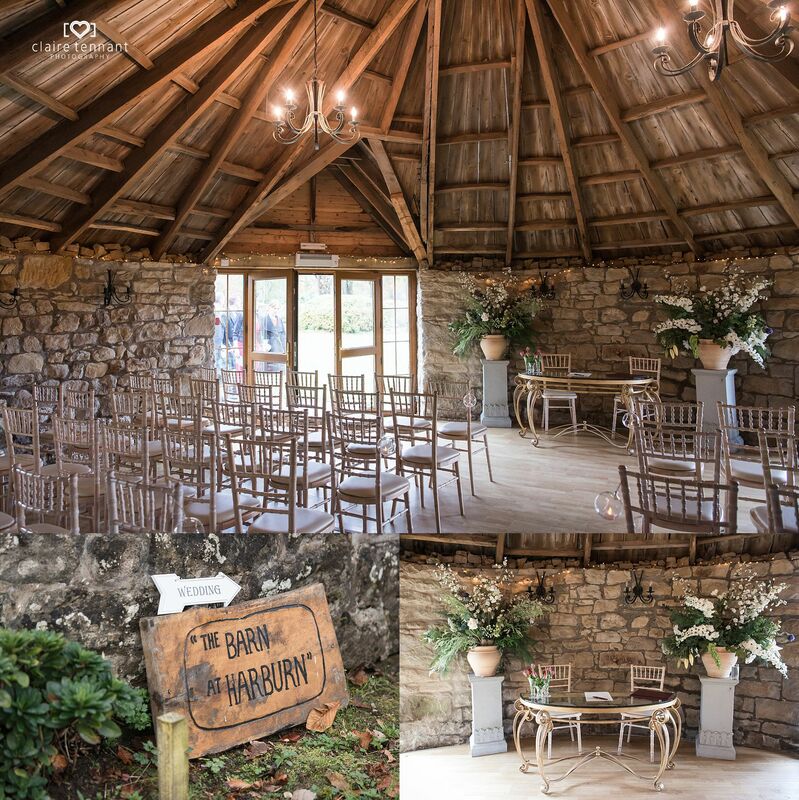 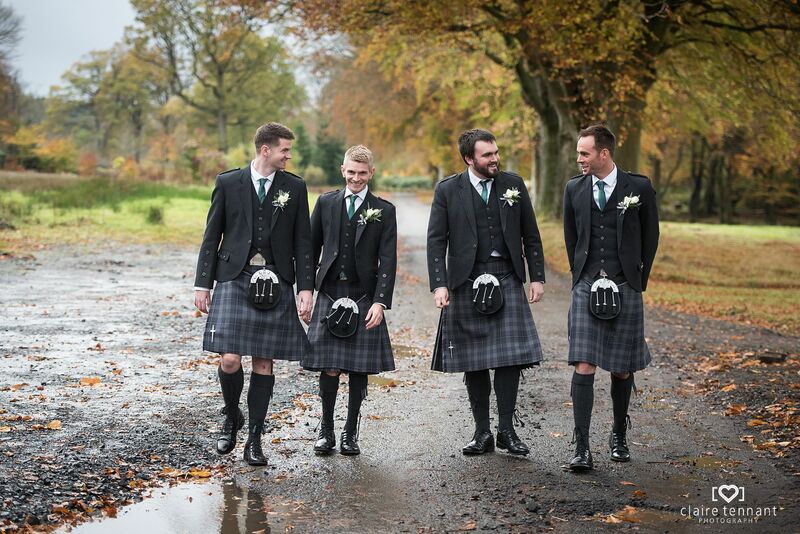 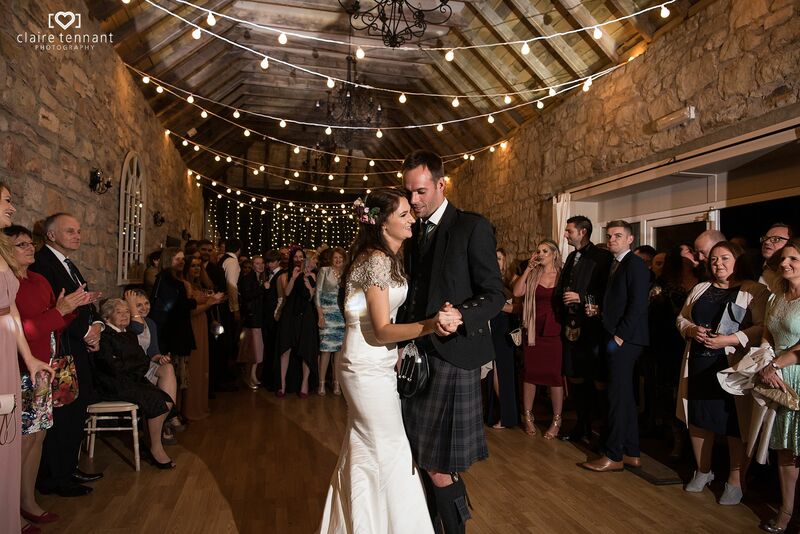 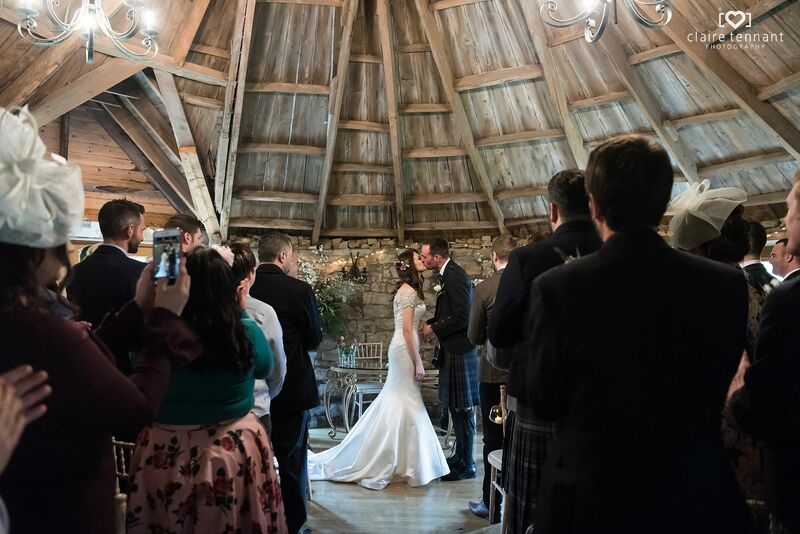 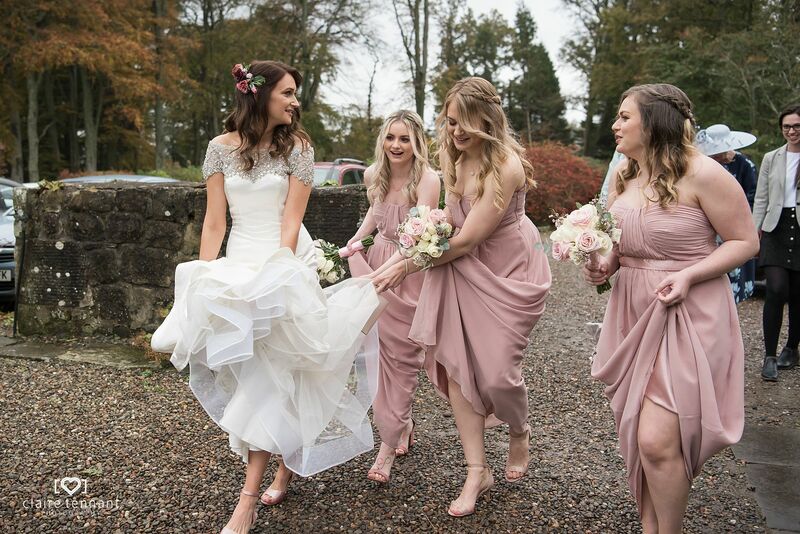 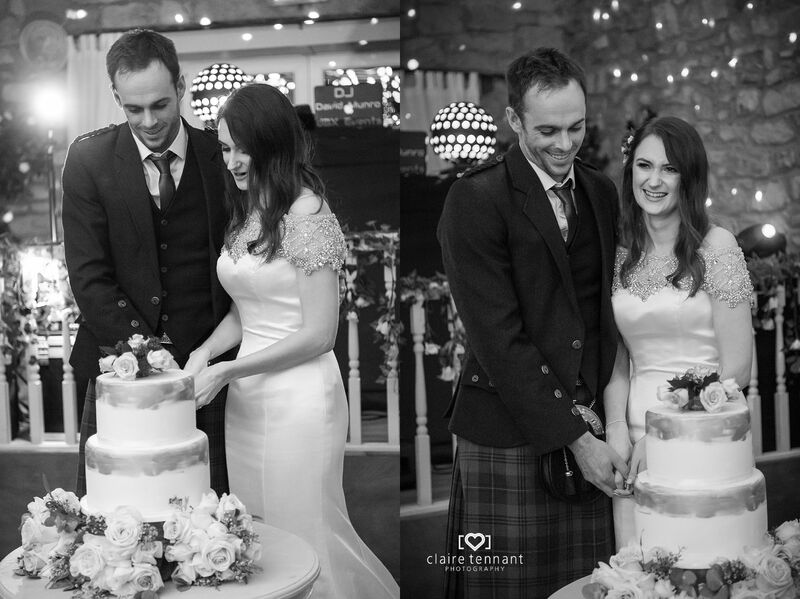 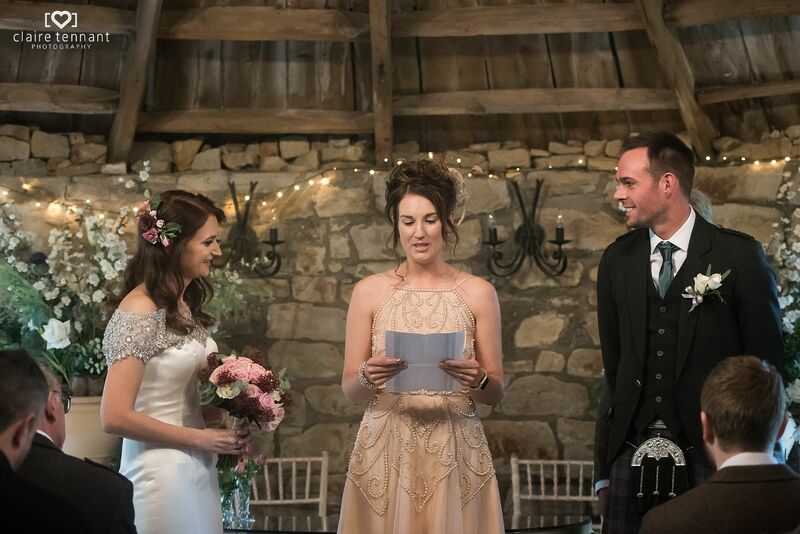 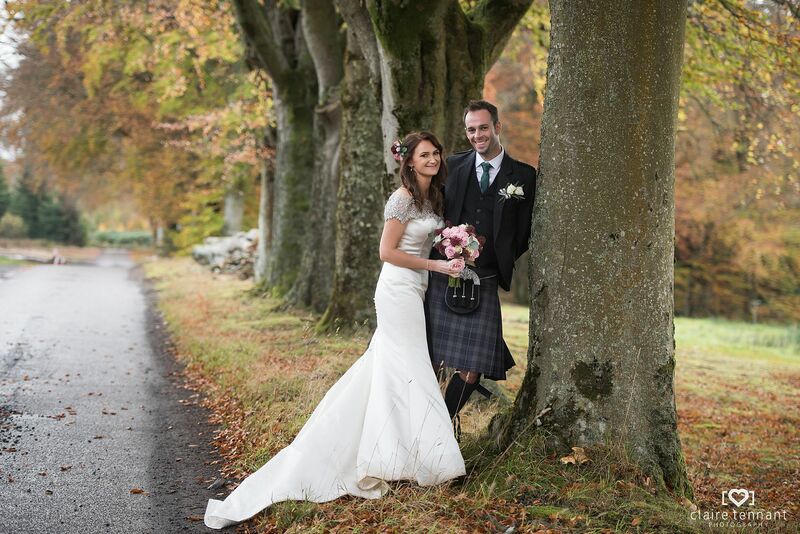 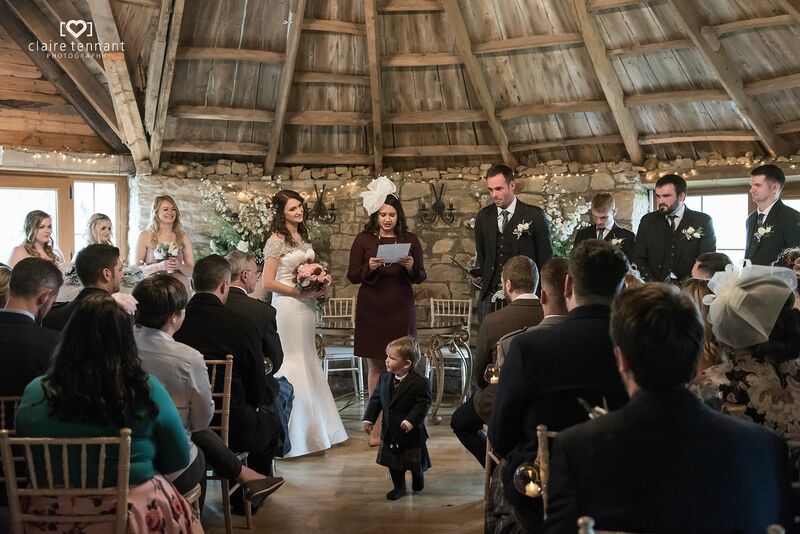 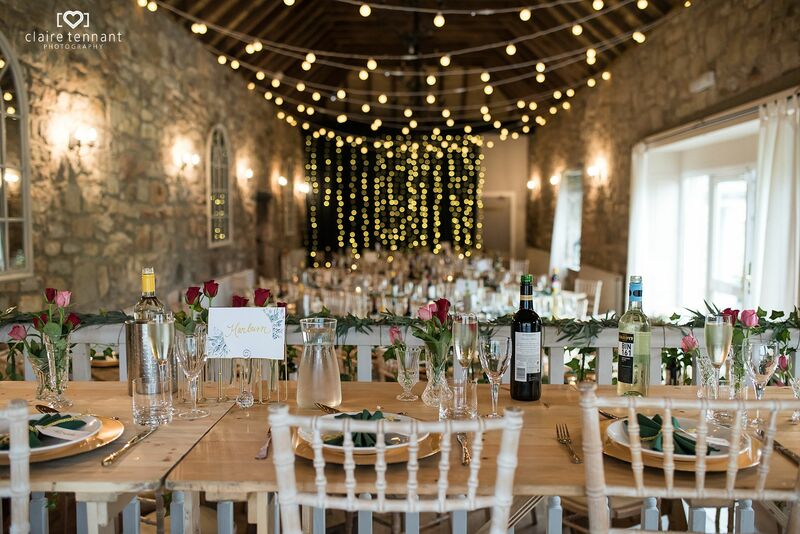 The couple had their wedding at The Barn at Harburn which is a picturesque and rustic venue in West Lothian. 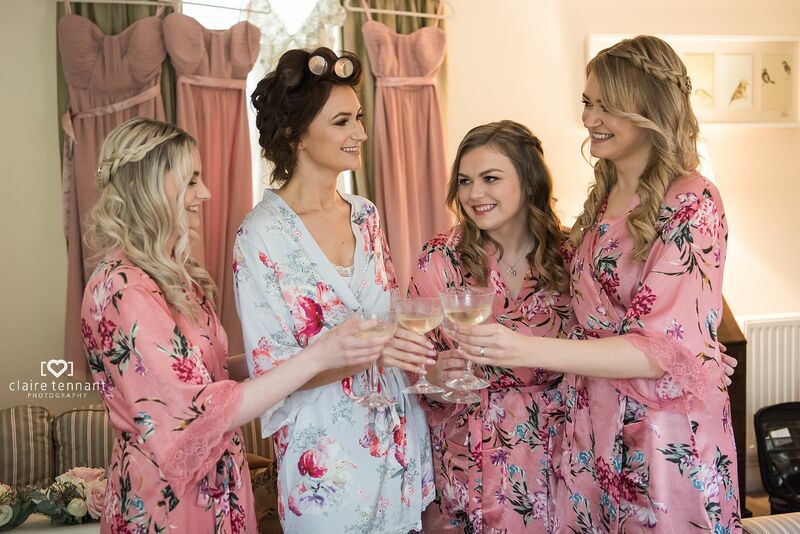 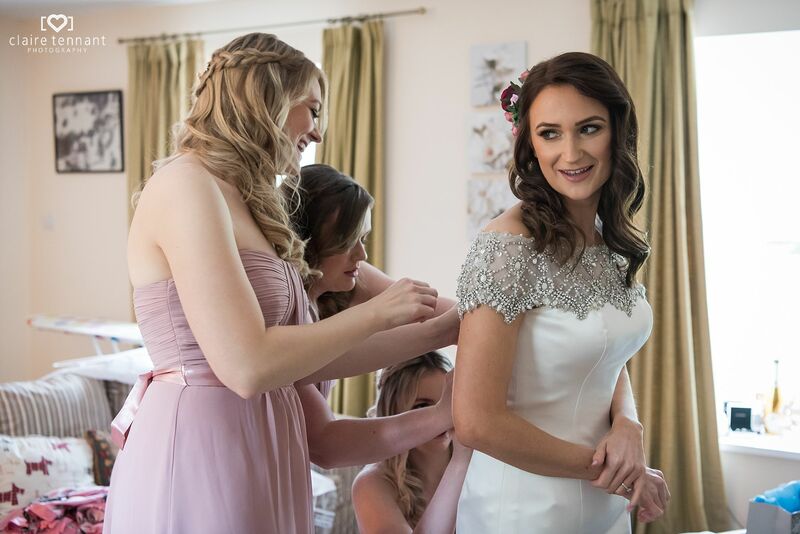 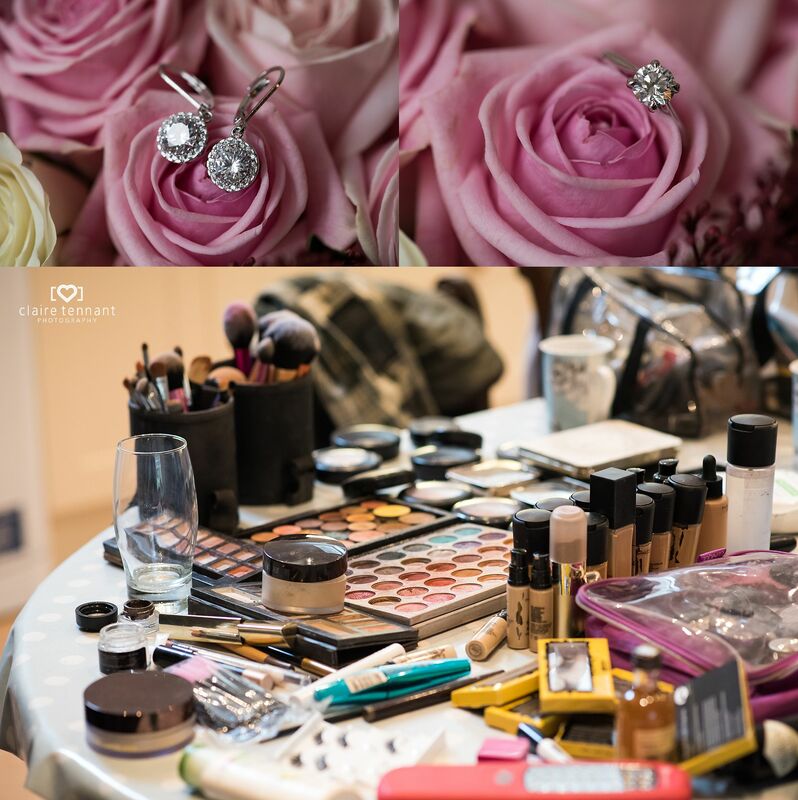 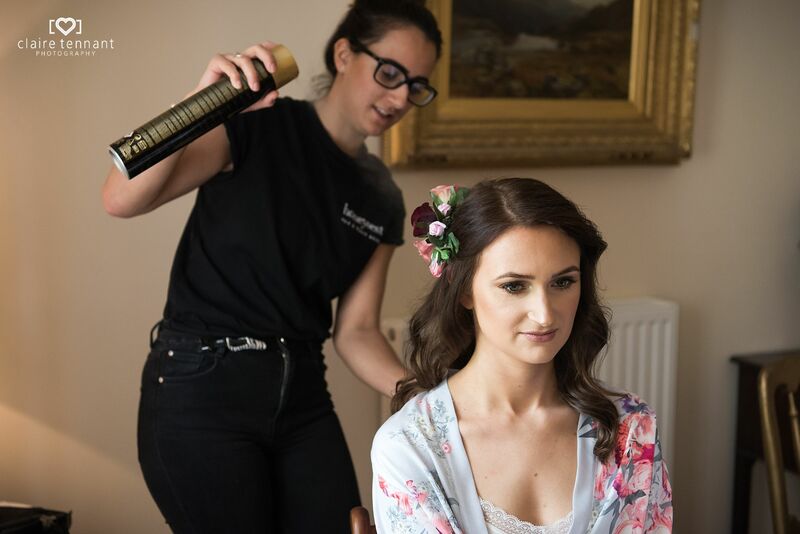 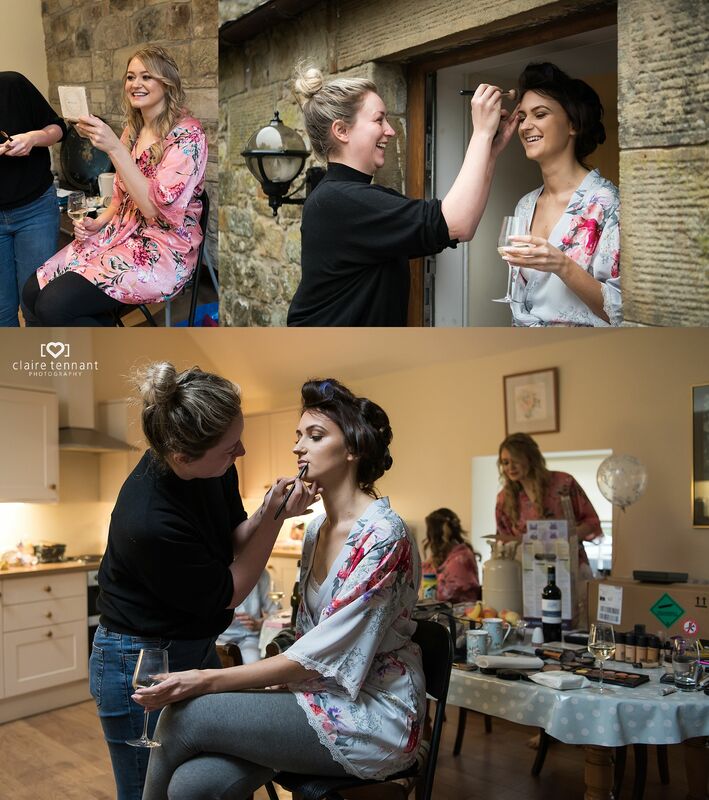 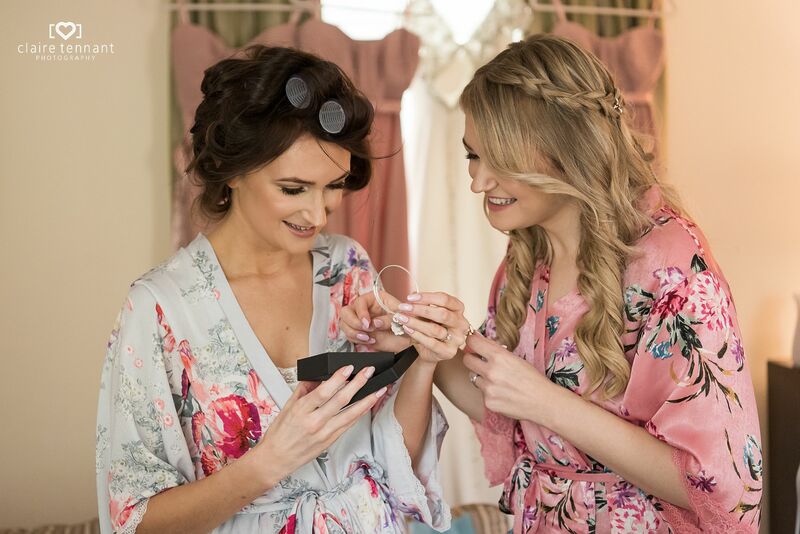 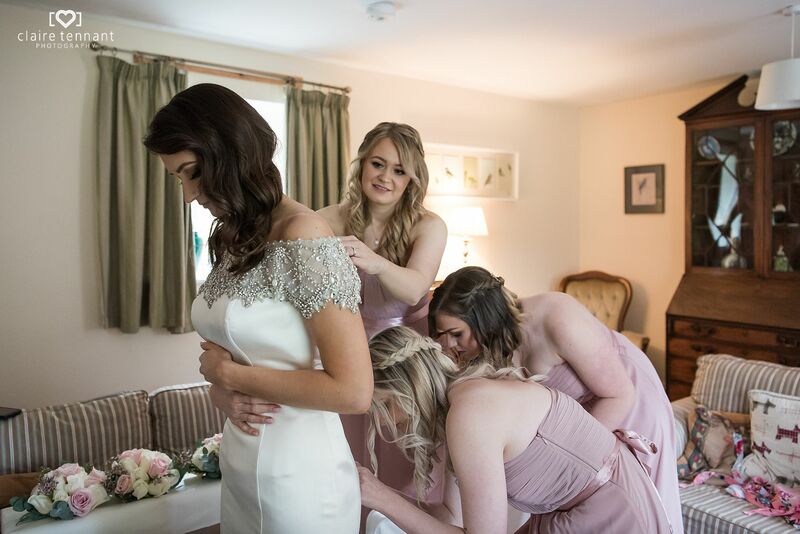 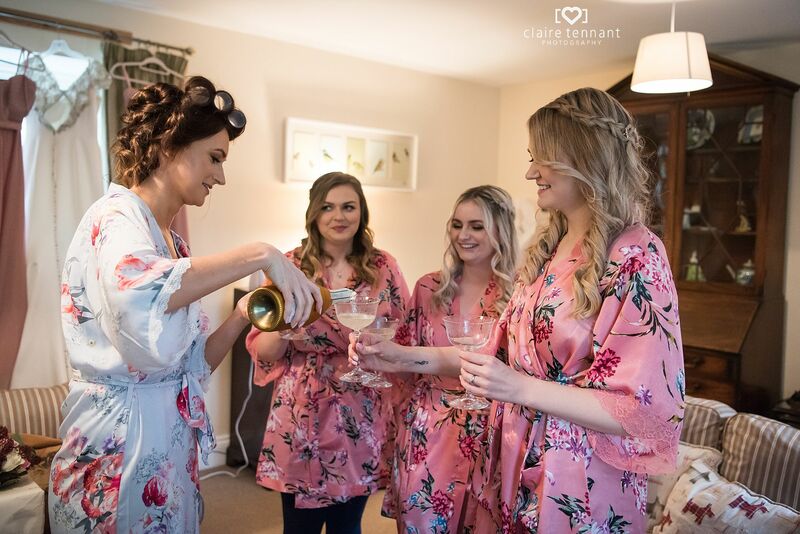 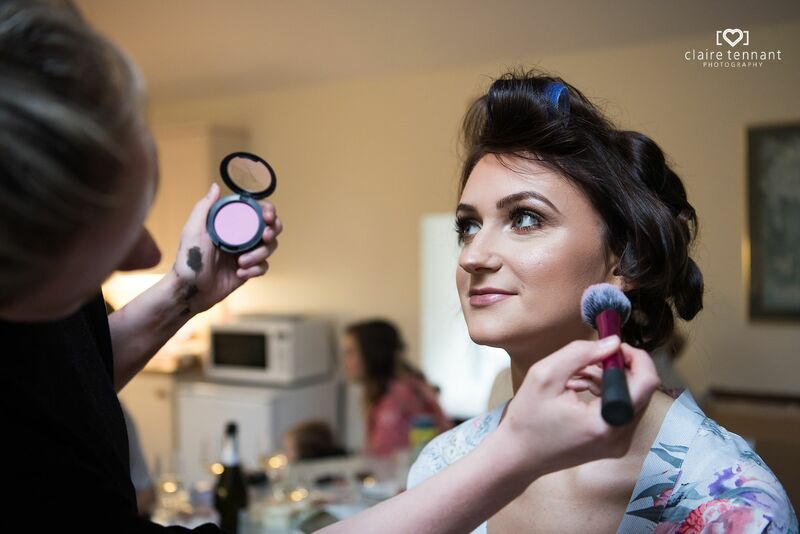 The day began with me photographing Kirsten and the girls whilst they got ready at Harburn cottage. 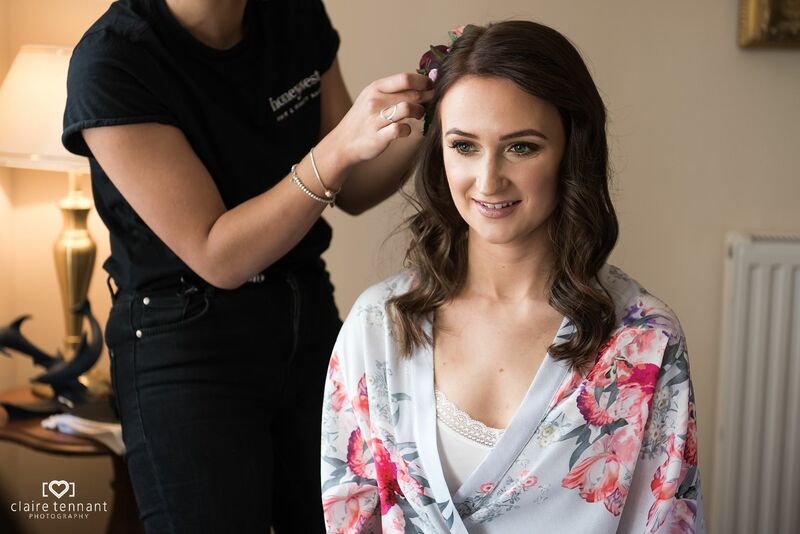 Everyone enjoyed being pampered and there was excitement in the air! 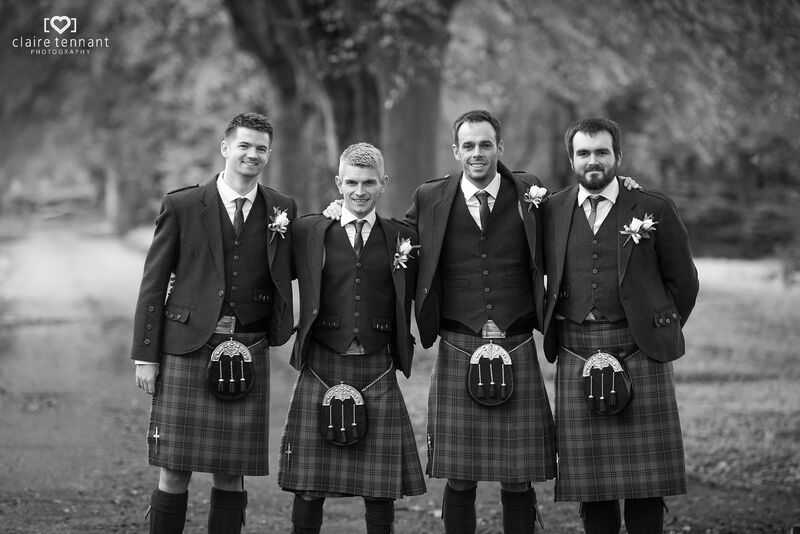 Once the prep was nearly finished I went down the road to meet Scott and the boys at the venue who were all looking very smart. 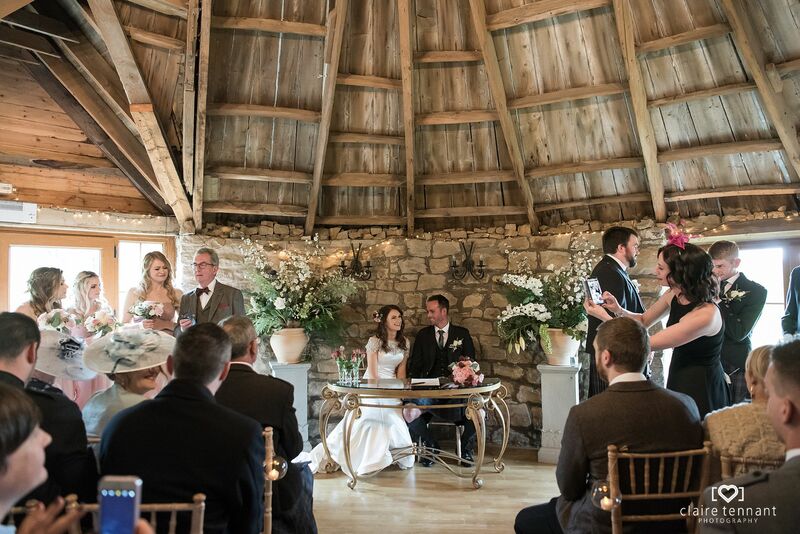 Family and friends were happy to witness Kirsten and Scott tie the knot in the beautiful roundhouse. 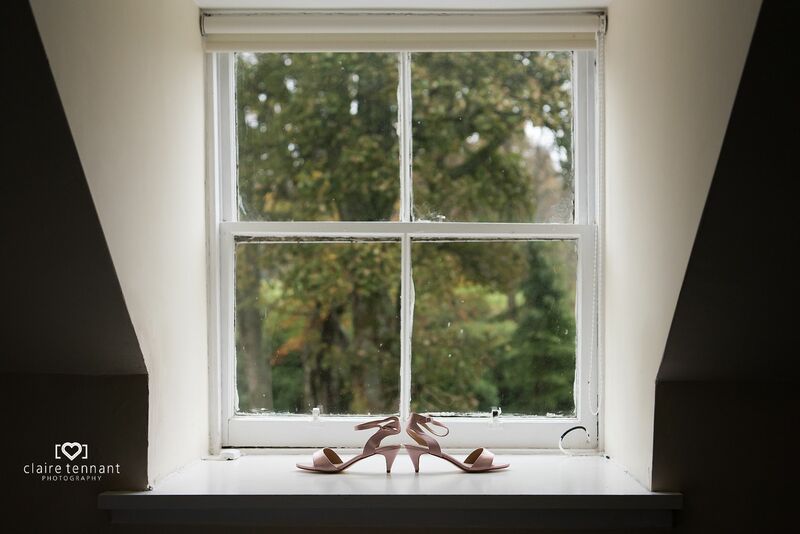 The 250 year old room is quite unusual and made for some dramatic shots. 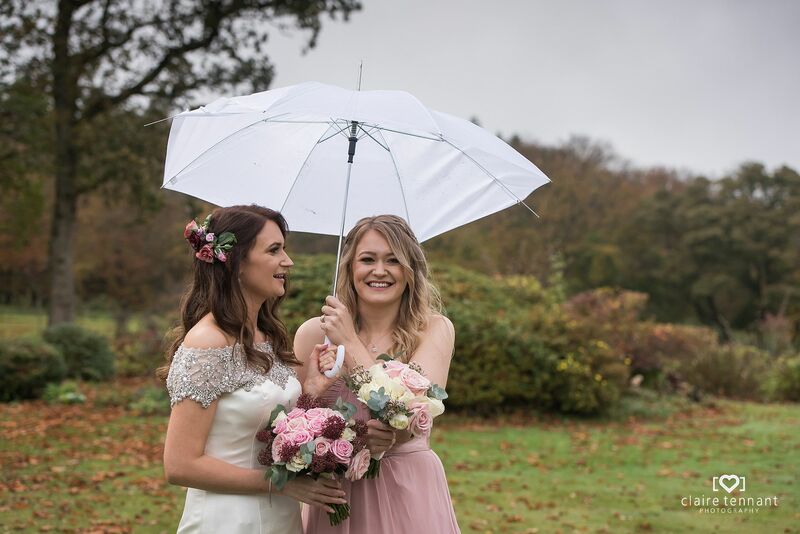 These two took everything in their stride and were all smiles for their day regardless of the rainy weather. 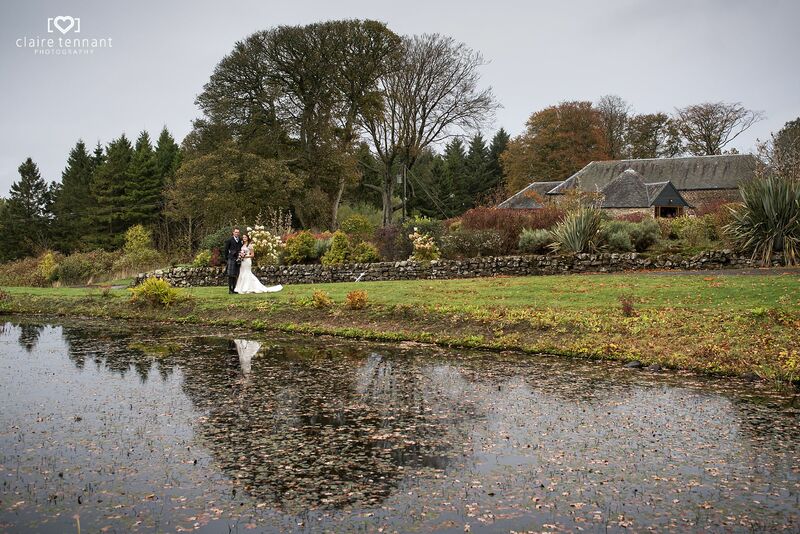 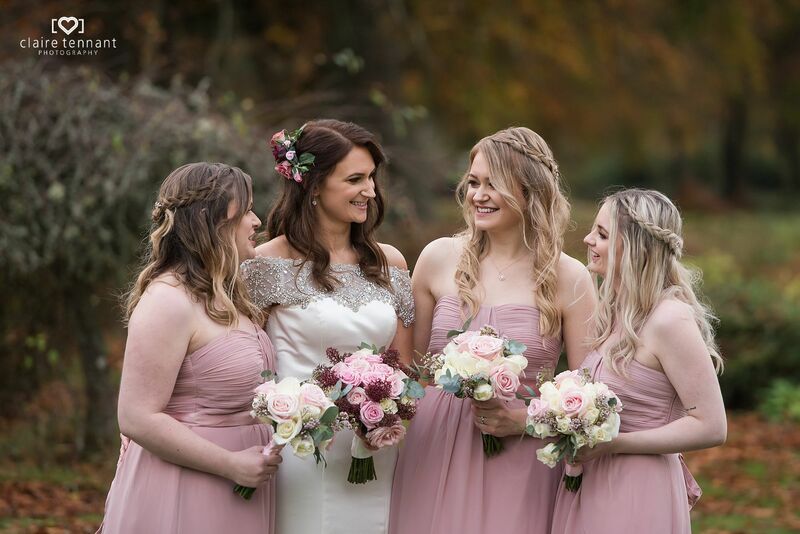 Being so relaxed and happy to go outside in the rain meant we were able to make the most of the beautiful grounds around the Barn and capture plenty of Autumnal colours. 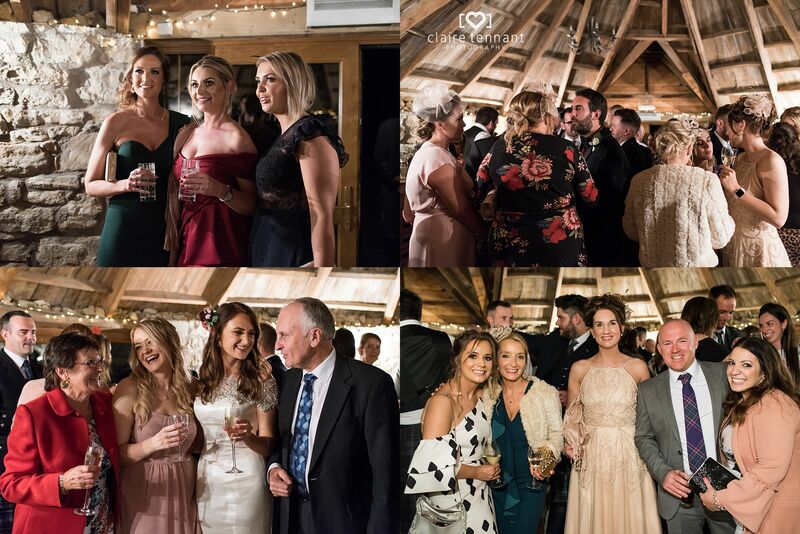 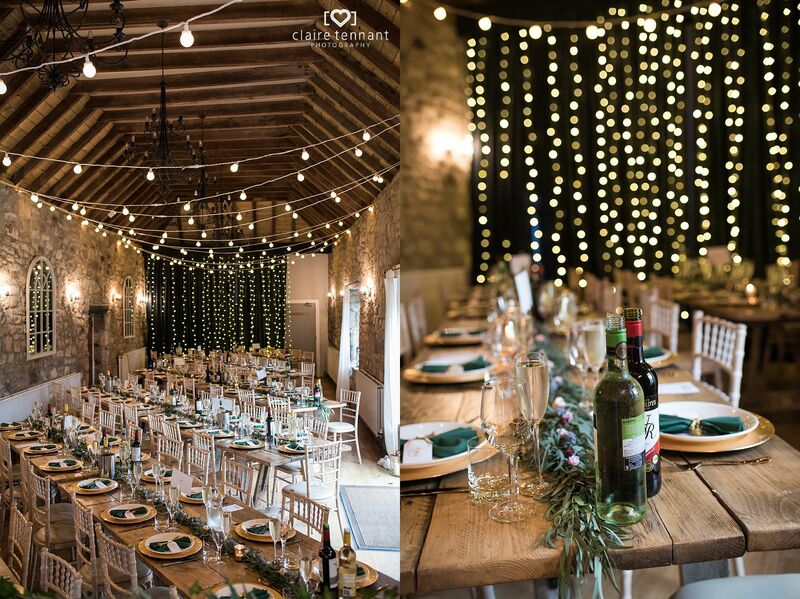 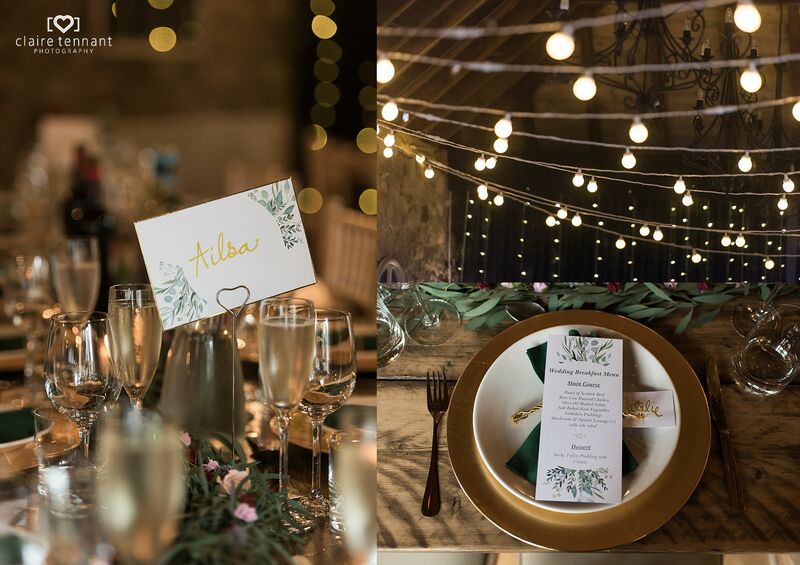 Soon it was time for the speeches in the Granary Room, another beautiful space that had been beautifully decorated with lights and personal details. 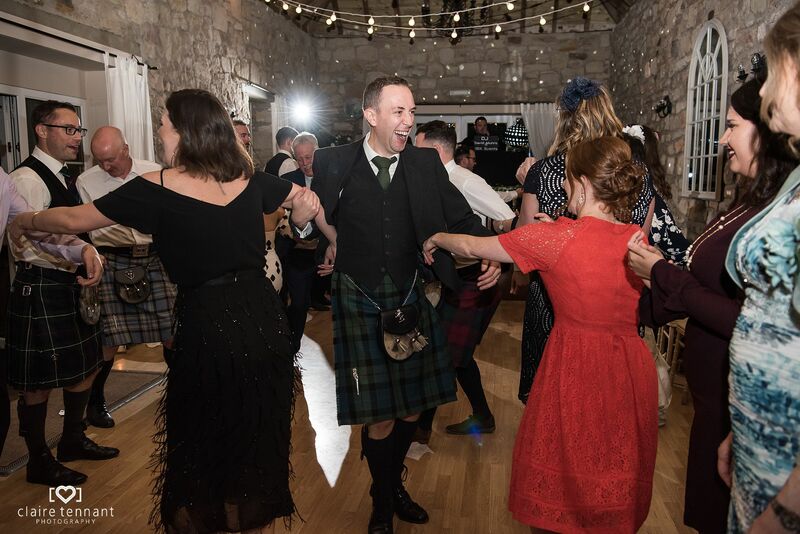 Once the evening began the guests had a great time dancing to the tunes and showing off some impressive moves! 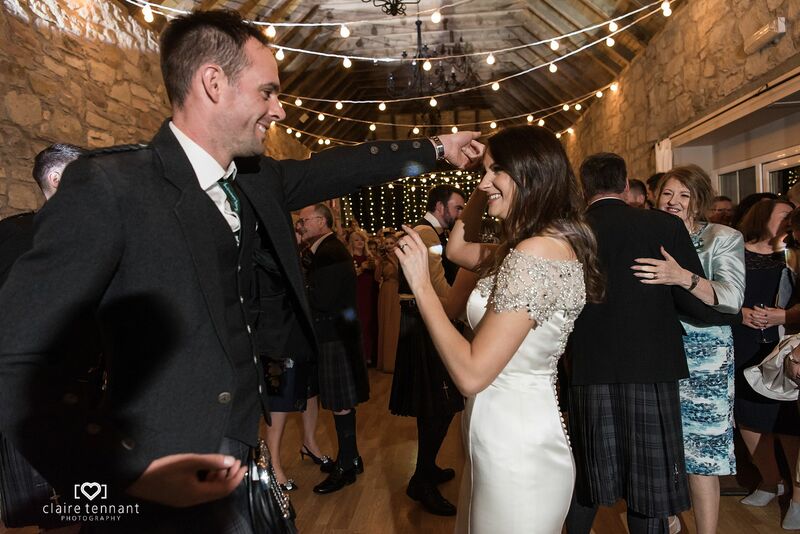 What a way to end the day.